On Thursday, February 7th, SMART’s contractor opened the portion of Francisco Blvd West between 2nd St and Irwin St. This partial opening will reduce the impact to businesses located on Irwin St and allow traffic to more easily access the freeway. 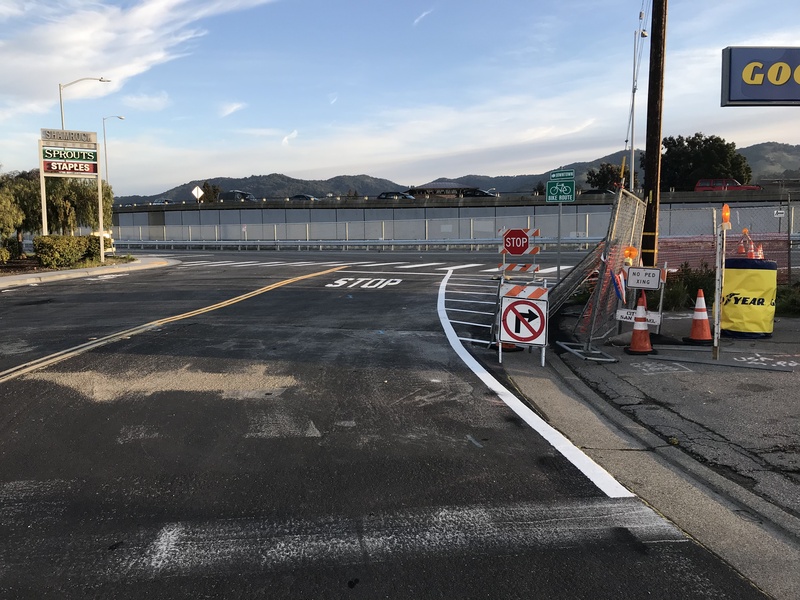 SMART’s contractor continues to coordinate with the Marin Municipal Water District regarding the installation of a new water line at the intersection of Francisco Blvd West at Rice Dr. Until the water line and SMART work is complete, we are unable to open that portion of Francisco Blvd West to the public. Based on the latest information from SMART, it may be mid-March, weather dependent, before that section of roadway is open.